Liberty Grove, Elica’s exciting new development in Kota Sentosa defining the new benchmark in high quality, affordable apartment living. Conceived as a private gated community, over twenty seven acres our development consists of a low-density mix of studio, three and four bedroom apartments contained within nine medium-rise towers. Set within landscaped gardens, Liberty Grove offers outstanding value for money and is the perfect choice for first time home buyers and investors. 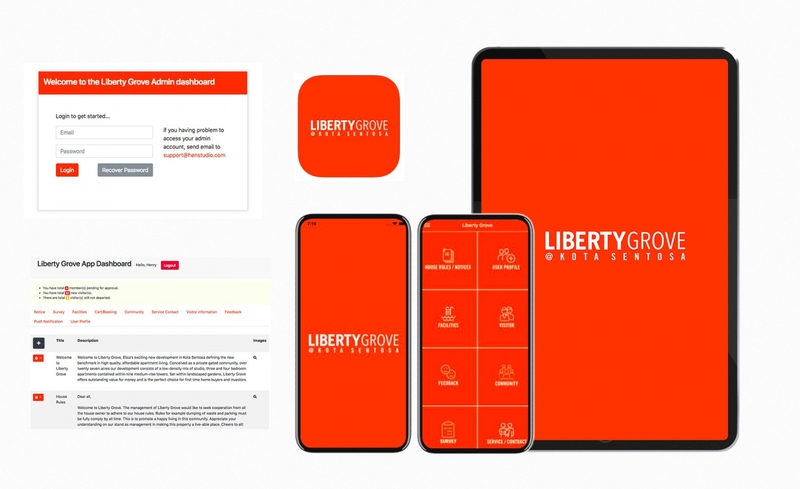 This app provide resident at Liberty Grove to easily register their arrival guest, book facilities directly from management office, feedback, participate survey, community sharing, get contact from contact directory, send push notification and more.